U.S. Secretary of the Navy Ray Mabus announced the nation’s newest research vessel will be named R/V Sally Ride, in honor of the former UC San Diego faculty member who was the first American female astronaut and the youngest American to fly in space. 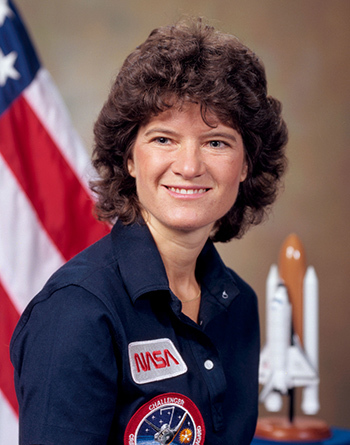 Dr. Ride was selected for NASA’s astronaut corps in 1978 and became the first American woman in space aboard Space Shuttle Challenger in 1983. In 1989, she joined the faculty of UC San Diego as professor of physics and was director of the university’s California Space Institute. She died in July 2012 at the age of 61. 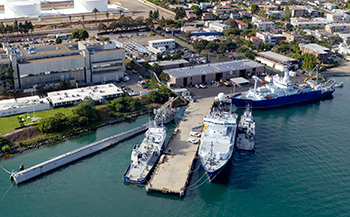 R/V Sally Ride will be homeported at the Scripps Nimitz Marine Facility in Point Loma, Calif. with the rest of the Scripps research fleet. “I can’t think of a more perfect name for the Navy’s new research vessel. Dr. Ride was a trailblazer in every sense of the word in the fields of science and engineering. Dr. Ride’s namesake ship and its crew will continue her legacy of courage, determination, and spirit of discovery,” said U.S. Rep. Susan Davis, D-Calif.
“Scripps looks forward to welcoming R/V Sally Ride to our fleet, enabling our scientists to conduct transformative ocean research and continued exploration and discovery in the coming decades,” said Catherine Constable, interim director of Scripps Institution of Oceanography and vice chancellor for marine sciences at UC San Diego. Scripps’s seagoing operations contribute significantly to the region’s maritime economy, drawing from the region’s exceptionally skilled workforce and employing more than 150 skilled technicians, engineers, crew, and administrators for ship operations. The more than $28 million generated annually from external funding sources for Scripps fleet operations is reinvested by the university into the local San Diego and regional economy. For more than a century, Scripps has been a part of the University California and its ships have benefitted from key support from the UC System and UC San Diego. 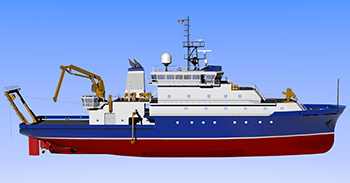 As with other Scripps research vessels Roger Revelle, Melville, New Horizon, and Robert Gordon Sproul, R/V Sally Ride will allow early career scientists to engage in ship-based science and training to support the next generation of researchers. The ship will participate in the UC Ship Funds Program, a unique resource that allows University of California graduate students to proposes, design, and execute their own research programs at sea.